There are a great mix of houses open for inspection and interesting speakers lined up. 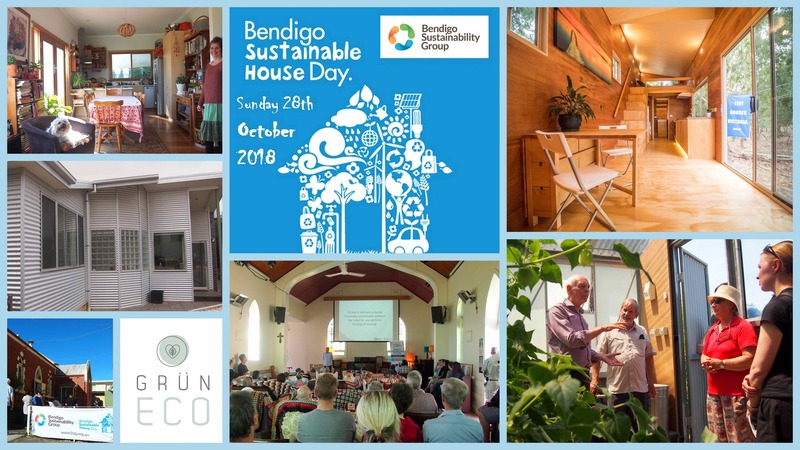 Simone Schenkel from Gruen Eco will talk about how she retrofitted her own house and sustainable design basics plus what you can do to make existing houses more sustainable. There will be an off grid mud brick, a Passiv Haus, a highly insulated eco house, a small owner build, a community garden with wicking boxes, a new extension on a heritage building, two retrofitted houses as well as a Tiny House. Lots of our sustainable houses also have great gardens and two residents eat largely from their home produce. Whatever you are thinking of doing to make your home more sustainable we have you covered. Come along and see how batteries are working for solar powered builds. We have a Lithium battery and lead acid battery systems on display with homeowners telling you how they are benefitting. Some owners have introduced high levels of insulation and you can see how this maintains the temperature without heating and cooling. Also a unique sustainable house in the country with a loads of Sustainable features will be open to tour. The house garden feeds the owners and they have recovered from bushfires to have a beautiful garden. They have a huge worm farm and many other permaculture features.